Support Julianne Ortman for U.S. Senate! Minnesotans are known for their rugged independence. Adherence to any establishment is frowned upon in the state that has “gone rogue” in many recent elections. The only way to beat Al Franken is with a public servant from the people, not from the establishment in Washington, and Julianne Ortman is just that public servant. Let’s give voters a contrast this fall: a clown vs. a Mama Grizzly, an Obama 100 Percenter vs. a Blue Star Mom, a talker vs. a doer, and a liberal Obama rubber stamp legislator vs. a proven conservative fighter. Let’s make this proven conservative the one to take the fight to Al Franken this fall and make him the punch line. Julianne Ortman is the choice. She is good enough, she is smart enough, and doggone it, people like her! Margaret Thatcher often said: “If you want something said, ask a man. If you want something done, ask a woman.” This quote rings true in the U.S. Senate race in Georgia in more ways than one. This year’s elections are about who we send to Washington to help restore our country after six years of a disastrous administration. It’s not about who has the best rhetoric, the loudest voice, or the best TV ads. It’s about who we trust to keep their word to fight for conservative principles and grow our movement at the same time. In the U.S. Senate race in Georgia, Karen Handel is just that candidate. Karen is a champion for protecting life and a proud voice in support of it – one we could use in the Senate. As Chairman of the Fulton County Board of Commissioners, she made a name for herself fighting corruption, passing ethics reform, and recouping millions of dollars in stolen taxpayer money. She balanced the budget every year as well. As Georgia’s first Republican Secretary of State, Karen took on the Obama administration to keep Photo-ID in place and ensure that only U.S. citizens vote in Georgia. She cut her department’s waste by nearly 20%, and under her leadership, the Secretary of State’s office became Georgia’s first completely transparent agency by putting all the agency’s expenses online for every taxpayer to see. Karen has walked the walk when it comes to cutting government waste, providing ethical leadership, and fighting back against big bullying government. We can count on Karen to take her real life skills to Washington to help balance our budget, fight for lower taxes, and do everything she can to keep the government out of our lives. Voters need to look carefully at a candidate’s record. Look beyond the flashy campaign ads of establishment candidates and the bombastic rhetoric of candidates who claim to be the most conservative in the race. Listen to what Karen says in her debates and candidate forums, and you’ll hear a true conservative leader who can win in November. This Georgia Senate race is very important to the Democrats and has long-term repercussions for 2016 as Democrats test the waters to see if they can win big in a red state with a woman candidate. That is why the GOP needs a strong contender like Karen Handel. She is the conservative candidate who can win this race and hold this seat for the GOP. GOP voters in Georgia have many choices if they want something said, but Karen Handel is the only choice if we want something done. Karen will get the job done. Please lend her your support in this critical Senate race. Trust me, you won’t regret it. We have been lucky to visit southwest Florida on several occasions and know it is one of the warmest places in the country. The warmth comes not only from the sun, but also from the citizens. We met many dedicated patriots in Naples, Florida, on our recent book tour. They deserve better representation than what they have had recently. Lizbeth Benacquisto is the only proven conservative in the race. She served her constituents well and has never forgotten who put her in office – the people. Lizbeth will take these values to Washington to fight for us all. Lizbeth Benacquisto is a proven conservative with an unwavering commitment to the principles of our Founders and to the sanctity of life. In the Florida State Senate she has a record that demonstrates a willingness to take on special interests and rein in the scope of government. A fierce advocate for her constituents, Lizbeth has introduced and pushed through legislation to protect our senior citizens. What a day for Iowa patriots! Very proud to stand with Joni Ernst because she will be a great commonsense conservative in the U.S. Senate! Her love of country, experience, and solid character – virtues that cross party lines and political ideology – bring real hope to a diverse populace. Even Jimmy Fallon said to vote her in! We heard the news that her likely Democrat opponent took a page from the Obama playbook and disparaged hard working Iowans in a closed-door fundraiser. Liberal Congressman Bruce Braley referred to U.S. Senator Chuck Grassley as “just a farmer from Iowa.” Holy! As an admirer of the hardest workers in America, toiling to feed the world, I have to ask what’s next from a man who would disparage the work ethic and know-how of a farmer? Is insulting the other half of Iowa by slamming them for “bitterly clinging to their guns and religion” up next? I’d stay away from the Iowa State Fair this year if I were you, Mr. Braley. The good productive “just farmers from Iowa” and “bitter clingers” we’ve shared fried butter-on-a-stick with there may have a bone or two to pick. If Nebraska’s Deb Fischer can see through the bull in Washington, then Iowa’s Joni Ernst can help her cut through the pork. Growing up on a hog farm in Southwest Iowa, Joni has taken her “pork cutting” skills to the Iowa State Senate where she has been a champion for life, small government, and lower taxes – voting for the largest tax cut in Iowa history. In Washington, she has pledged to defund Obamacare, limit the size of government, and protect life. As a concealed weapon license holder, she will fight to defend our Second Amendment rights – the NRA has given her an “A” rating. Joni is a veteran of the Iraq war and continues her service as a Lt. Colonel in the Iowa Army National Guard. She’s been a fighter for freedom both in and out of uniform. Iowa – come together and send this Midwest Mama Grizzly roaring to Washington on her Harley so she can join with the good guys to get our country back on track! The NAACP’s attacks on Senator Tim Scott illustrate the anger and increased intolerance of the political left. Having falsely staked the claim of “embracing diversity” we see another example of the left’s “tolerant hug” excluding those who do not subscribe to their liberal agenda. It’s not personal. It’s not racist. It’s not mean spirited. It’s COMMON SENSE to NOT subscribe to their failed liberal policies that lead to dependence on an unstable and bankrupt government. Tim Scott was raised by a single mother, started working at age 13, faced challenges through school, and then met a mentor – a local Chick-fil-A operator – who taught him how to “think your way out of poverty.” With that, and strong work ethic, Tim’s commonsense conservative roots took hold. Tim became a successful small businessman, Congressman and U.S. Senator. He is an honorable man who judges people by the content of their character, not the color of their skin, and seeks the same for himself. With too many purposefully dividing America on the basis of race and gender, it’s imperative that we who strive for a truly United States, under God, take a stand! Don’t be afraid to call out hypocritical double standards applied to independent Americans who are continually falsely accused of discrimination and intolerance. Playing small and timid in this era of potentially great progress towards American solidarity helps no one. Take a stand! Help leaders like Tim Scott get re-elected in 2014. We need more strong leaders who, like Tim, are conservative because they’ve learned from life experiences, not poll driven messaging, what works for our great country. 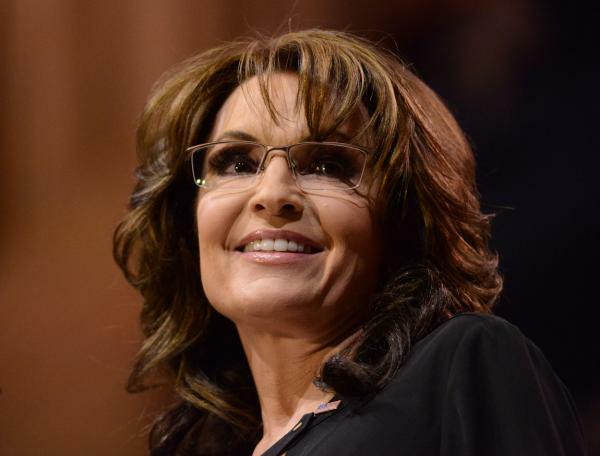 Video: Sarah Palin’s Endorsements. She Is Roaring! So Just Roar Back! WOMAN’S INTUITION: Remarks by Sarah Palin, above, about ex-Secretary of State Hillary Clinton, have launched speculation about her motives. Hillary Clinton is probably the last person Sarah Palin wants to see in the Oval Office. Which makes Palin’s near-endorsement of Clinton a bit of a head-scratcher. But Palin, despite the smears back in 2008, is a lot smarter than the left-leaning press has ever been willing to admit. “I would like to see women run for the higher office. I think America certainly is ready for more female candidates at that upper echelon,” Palin told Mario Lopez on “Extra” when he asked about a Clinton run. And the stunned speculation about why Palin would say anything nice about Clinton began. The fact is, Clinton is a dream candidate for the Republican Party in 2016. Never mind all those polls that say Clinton walks away with it. The Clintons have enough skeletons in their political closet to petrify a haunted house — and Bill, the former impeached president, will be a part of this race, too, as the nation’s prospective first First Husband. The Democratic-friendly media has already been forced to notice the way she attacked the women her unfaithful husband targeted, though her party is supposed to be all about protecting the sisterhood. Eventually, the media will have to address why it does make a difference who killed our ambassador and three other Americans in Benghazi. There’s the question of whether — given her angry outburst before Congress — she has the temperament to be president. By 2016, Iran — aided by Clinton and President Obama’s exercise of soft power — may well have nukes. Secretary of State John Kerry accidentally gave Bashir Assad his lifeline with that Russian-brokered chemical weapons deal, but Clinton missed the chance to support a real Syrian democracy movement, before al-Qaeda co-opted it. Then, there’s her support for Egypt’s Muslim Brotherhood. Now, thanks to Crimea, Clinton’s infamous Russian “reset” rings hollow. That phone Clinton was ready to answer at 3 a.m.? It turns out it was … not in service. Then, there’s Obama­care. Clinton was a major failed proponent of big government health care even before Obama succeeded in making a mess of it. Palin, who couldn’t catch a break back in 2008, probably wouldn’t mind seeing Clinton catch a little of that political heat. But maybe, Palin was doing the last thing her detractors would ever expect — voicing a laudable ideal, taking the high road, with no partisanship at all. Adriana Cohen is co-host of Trending Now. Follow her on Twitter @AdrianaCohen16. Gov. 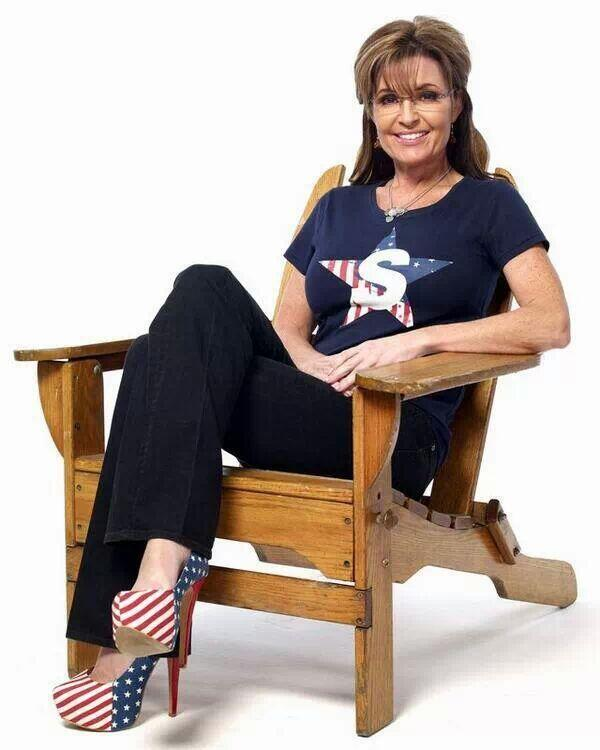 Palin: Mama Grizzlies Roaring Again! Our historic 2010 electoral victory was brought to you in no small part by commonsense conservative women across the country who rose up to organize support for others and to run for office themselves. In fact, we could call 2010 the year of the commonsense conservative woman – or, as I like to call them, the Mama Grizzlies! Just like those powerful bears who rear up on their hind legs to fight any threat to their young cubs, American women will always rise up to protect the future for our children and grandchildren. When we see reckless D.C. politicians bankrupting our country and mortgaging our children’s future, the women of America rise up. When we see an arrogant administration take away our family’s health care plans and force us to buy worse plans that we don’t want and can’t afford, we rise up. 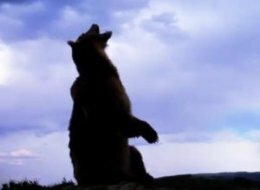 When we see a corrupt administration spying on our communications, lying to us about the death of our ambassador, and sicking the IRS on its political opponents, we Mama Grizzlies rise up! Today, more women are small business owners than ever before. Women in households tend to make the family’s health care decisions, and women who manage a family budget have a keen sense of the need to economize and live within our means. The party of big wasteful corrupt and bullying government has little to offer women. So, look for the left to manufacture false narratives to distract us from the real dilemmas facing our nation. In the coming days, I will be rolling out endorsements of some great Mama Grizzlies running for office this year. Get ready to shake things up! Check out this great interview with Todd about bringing the Iditarod to TV! Sarah Palin isn’t the only one in the family who will be in front of the camera on the Sportsman Channel. While the former Alaska governor gets set to host Amazing America with Sarah Palin next month, it’s her husband Todd who will be showcasing the beautiful state of Alaska first. The Iditarod has not had a national television network partner since 2009. Until now, that is. In a groundbreaking agreement with Sportsman Channel, the event organizers will continue to produce the annual sled dog spectacle and provide extensive, in-depth coverage, video and updates through an online platform. As the Official Network of The Iditarod, Sportsman Channel will exclusively showcase the stories of The Iditarod. In a multi-week stunt entitled Iditarod Unleashed, Sportsman Channel will air 12 hours of programming and specials – including the national television premiere of shows from The Iditarod library – timed around the 2014 event. That’s where Todd Palin comes in. Iditarod Unleashed programming begins March 25 at 7 p.m. ET/PT with a one-hour special hosted by Palin. There are personal connections to the Iditarod for Palin as well. Buser teamed up with Palin during the 2008 campaign to help stump for the McCain-Palin ticket. Rick Swenson “King of the Iditarod” ran pro class when Palin started Ion Dog racing in 1993. Meantime, DeeDee Jonrowe serves as an inspiration to all. She beat cancer and got back to mushing. Palin speaks glowingly of John Baker and all he has done for the sport. Todd and Sarah Palin attended the Iditarod Mushers Banquet in Anchorage this year to show their support for the big race and all those who participate in it. Sportsman Channel will look back at Dallas Seavey’s record-breaking win, and showcase the incredible stories of this year’s historic race, along with stories from previous years. In honor of World Down Syndrome Day, please take a look at this beautiful video Bristol posted on her blog. Congratulations to Dr. Adams, his tenacious and wise attorney David French, and the ACLJ for their many years of hard work on this case. This is a victory in defense of our Constitution. I thank God for blessing good attorneys with the common sense to articulate this case for freedom. Keep pushing back against the intolerant, stifling left! In Greenville, North Carolina, a jury in federal court found that the University of North Carolina-Wilmington violated criminology professor Mike Adams’ free speech rights when it denied his application for promotion to full professor. The ACLJ represents Dr. Adams, along with Alliance Defending Freedom attorney Travis Barham. Dr. Adams is a conservative Christian who also regularly contributes to Townhall.com, where he often critiques the widespread leftist abuses within colleges and universities. His speech caused a furious response within his university, with the Chancellor even attempting to alter the standards for promotion to allow the faculty to consider professors’ protected speech in promotion decisions. The verdict represents a significant victory for the First Amendment and for academic freedom, sending a message nationwide that colleges and universities will be held accountable if they attempt to impose ideological, religious, or political litmus tests on professors or students. Even before polls showed that conservative Oklahoma Senate candidate T.W. Shannon had slashed a 35-point deficit to single digits days after former Alaska Gov. Sarah Palin heartily endorsed him, Shannon knew immediately that his upstart campaign had changed when Palin posted her support on Facebook and Twitter last week. But polls are beginning to paint a clearer picture of Shannon’s momentum. Shannon trailed Rep. James Lankford (R-OK), who is cozy with the Republican establishment in D.C., by 35 points in February. A month later, a Public Opinion Strategy poll of Oklahoma GOP primary voters conducted four days after Palin’s endorsement and released on Tuesday found that Shannon is within single digits (28%-37%). Former South Carolina Senator and Heritage Foundation President Jim DeMint said that Palin’s endorsement has the most impact in GOP primaries, and that seems to be the case in the country’s most conservative state. As Breitbart News noted, the poll found that Palin, who has the highest favorability rating among GOP presidential primary voters, also does extremely well with Oklahoma Republicans with a 75% favorable/14% unfavorable image with Oklahoma GOP primary voters. Shannon said that said Palin’s endorsement allows voters to trust the more conservative candidate in the race to not sell them out in Washington, D.C., so they are more likely to get on board, donate, and volunteer their time, and enthusiastically recruit their friends after a Palin endorsement. One cannot blame conservatives for being wary of candidates — even those like Shannon who was arguably the most conservative House speaker in the reddest state in the nation — because they have been disappointed by those who campaign to change Washington and then drink the proverbial Kool-aid once they get there and allow Washington to change them. Sen. Ted Cruz (R-TX), who said he would not be in the Senate were it not for Palin’s endorsement, has been someone who has lived up to his campaign promises and stood unapologetically for conservative principles, and that is partly why the D.C. establishment does not like him while he leads among Tea Partiers and very conservative voters in nearly every 2016 presidential poll. Breitbart News has reported, Shannon has impressed audiences in Oklahoma and across the nation when with his vision and record, but Palin’s endorsement helps shine a spotlight on candidates, especially when she urges Oklahomans and Americans to learn more about Shannon at www.twshannon.com. Shannon’s name ID has gone from 59% to 74% and his favorables from 30% to 48% while his unfavorables are at 5%. Clay Bennett, the Oklahoma City Thunder owner, has also joined the Shannon campaign as a campaign chairman after Palin’s endorsement. Palin also mentioned that Shannon, in addition to his staunch conservatism, would also bring the morals that are needed in Washington. “We can also rest assured that T.W. will bring to D.C. the integrity and moral compass he acquired growing up attending Bethlehem Baptist Church and teaching Sunday School,” Palin said. The late great UCLA coach John Wooden always said that failing to prepare is preparing to fail, and Palin’s endorsement often is amplified when campaigns have also had a strong organization in place. That seems to be the case with Shannon’s. The Republican establishment spent millions backing Jon Bruning, while Washington’s conservative establishment, including Freedom Works, spent millions backing Don Stenberg. But after Palin wrote a 135-word Facebook post to endorse Deb Fischer, the then-unknown candidate suddenly had “momentum, buzz, and name identification” and rocketed to the top of the polls en route to wins in the primary and general election. That’s something that Shannon knows in his heart, and that is why he has rocketed up the political scene despite having been an underdog many a time. “T.W. 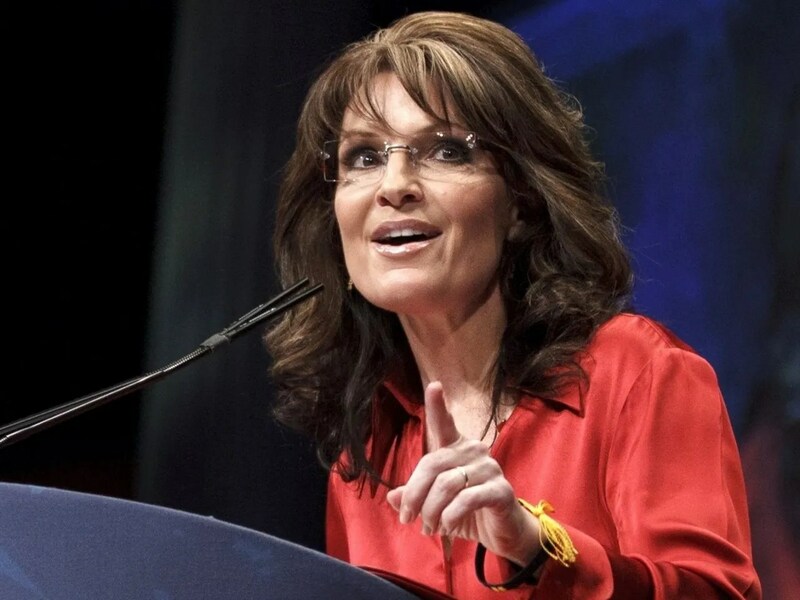 is the underdog in his race, but that’s not a position he’s unfamiliar with,” Palin wrote. Glen Bolger, of Public Opinion Strategies, wrote that “after starting the campaign as the equivalent of an NCAA Cinderella-wannabe, T.W. Shannon has become the momentum it takes to beat the number one seed, represented by James Lankford.” Palin may be able to boost Shannon even more if she were to campaign with him on the ground in Oklahoma. When she went to campaign in Texas for Cruz, Cruz’s consultant said that Palin was responsible for a 17-point swing in favor of Cruz. “I’ve certainly never seen an overnight 17-point swing from earned media based on the appearance of a former elected official, a celebrity, or anyone in my experience,” the Cruz strategist said then.